What follows are concept renders, based on rumors. 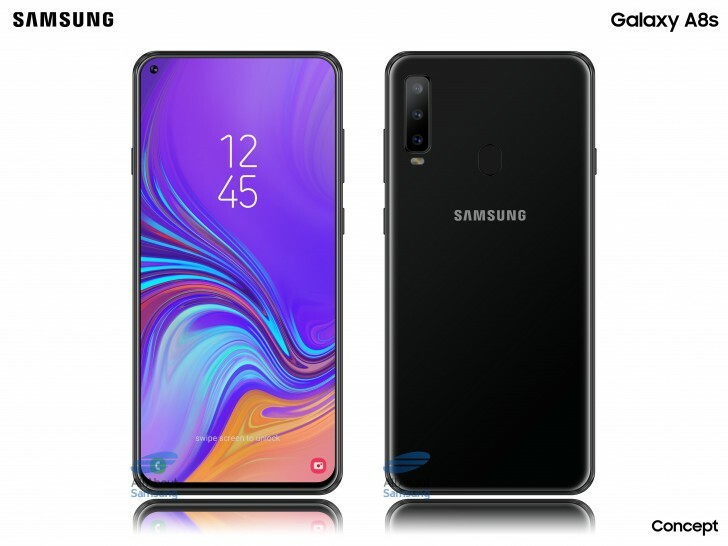 However, they come from the same source that accurately predicted the Galaxy A9 (2018) design a month ahead of its announcement so they are probably worth the benefit of the doubt. The renders show Samsung’s first smartphone with an Infinity-O display on the front. 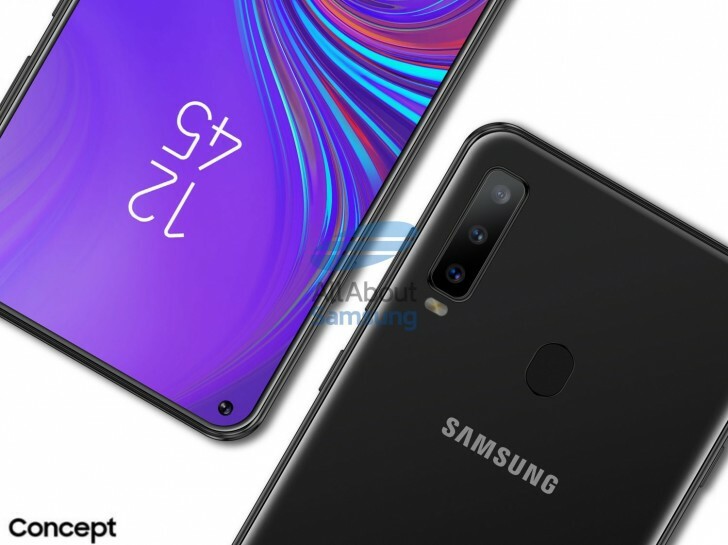 Samsung has said that the Galaxy A8s will have a camera cutout placed in the upper left corner of the display. Having the front camera (and likely the ambient light sensor as well) inside the display allows the top bezels to be virtually nonexistent. The renders show a slight asymmetry as the bottom bezel is a bit thicker. According to the rumors, the Galaxy A8s will have a triple camera on the back, although the specifications of it are still unclear. It looks likely that the fingerprint scanner will be on the back and not underneath the display. Finally we expect the Galaxy A8s to house a Snapdragon 710 chipset with 6GB of RAM.